Two nurses who failed to spot a patient who died at Stafford Hospital was diabetic have been found guilty of misconduct. On Monday the Nursing and Midwifery Council panel found Ann King and Jeannette Coulson had failed to look at or update Gillian Astbury's records. They also failed to carry out blood tests. 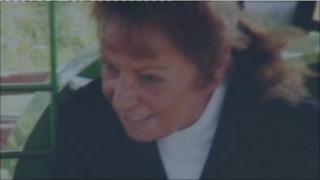 Ms Astbury, 66, died in April 2007 at the hospital after she was not given insulin. The panel is now deciding what sanctions to take against the two nurses, who have both since retired from the Mid Staffordshire NHS Trust. King was also found to have lied about having changing patients' dressings and giving them medication, while Coulson admitted swearing at staff. Both have expressed regret for their actions and said they had learnt lessons. However, the panel said the nurses' ability to practise had been impaired. Sanctions that can be imposed against the nurses include striking them off the nursing register.